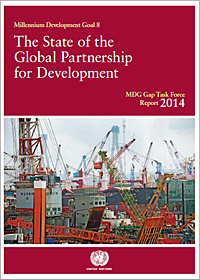 The full 2015 report will be launched in New York mid-September 2015 while the Executive Summary has been released for presentation at a side-event to the Third International Conference on Financing for Development on 14 July 2015, 1:15 pm - 2:45 pm, ECA Press Briefing Room, Addis Ababa, Ethiopia. The Third International Conference on Financing for Development gathers high-level political representatives, including Heads of State and Government, and Ministers of Finance, Foreign Affairs and Development Cooperation, as well as all relevant institutional stakeholders, non-governmental organizations and business sector entities. The Conference will result in an intergovernmentally negotiated and agreed outcome, which should constitute an important contribution to and support the implementation of the post-2015 development agenda. 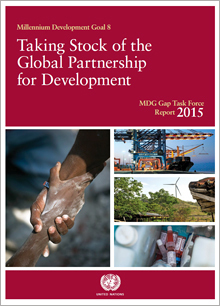 The Millennium Development Goals Report 2015 was launched in New York by the Secretary-General on 6 July 2015.